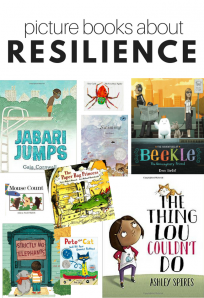 Chinese New Year is on February 10th so pop over to your local library and check out these great books that will teach and entertain. You may not be able to travel to China to explore it’s culture and country but you can read about it together in your own home. 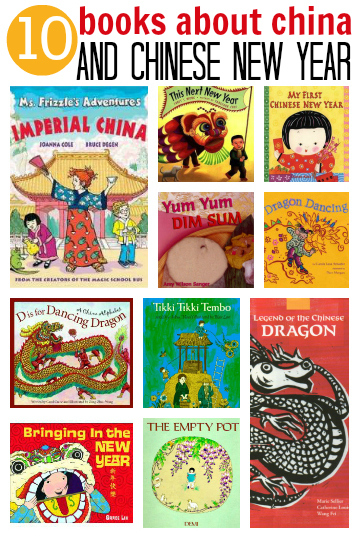 Here are some of our favorite books about China and Chinese New Year for kids. 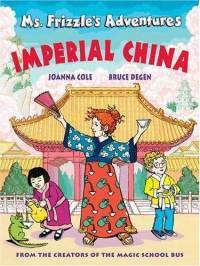 Ms. Frizzle”™s Adventures: Imperial China by Joanna Cole Takes readers from present day Chinese New Year celebrations to the rice fields and palaces of Imperial China. In this installment Ms.Frizzle explores China, explains the concept of taxes really quite well and covers many of the inventions that came from the country. My 4.5 year old wasn”™t as into this book as the other two in the series but I think that”™s because I read two of them to him back to back with this one at the end, which was obviously too much for his attention. I however loved this one and was fascinated by the little asides filled with information about Chinese inventions. 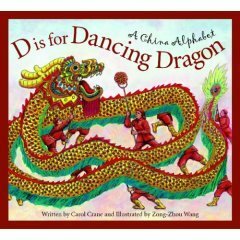 D is for Dancing Dragon: A China Alphabet by Carol Crane is a in valuable book when teaching about China and Chinese New Year, it is more than a simple alphabet book, going into detail about lanterns, chopsticks, panda bears and so much more. 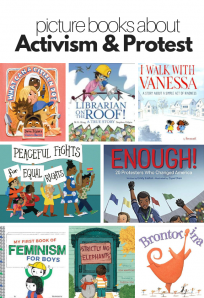 What I love about these books is that younger children can be shown the pictures and given a easy to digest synopsis of the text, while older children can read the whole book. The illustrations by Zong-Zhou Wang will make the most reluctant traveler want to get on a plane to china, they are simply spectacular! 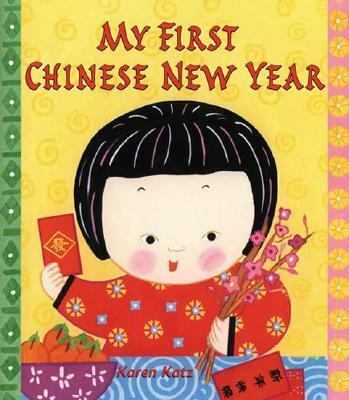 My First Chinese New Year by Karen Katz is a simple introduction to Chinese New Year for young children. It”™s a board book so if you have let”™s say a 4 year old who , let”™s say has decided he thinks board books are only for babies, you may want to have him be a reading helper for this one.I had to cajole my son into helping me read this book to his sister but once I started he was into it and enjoying the simplistic way the author illustrator explains the Chinese customs. 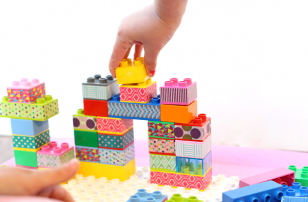 Even adults may learn something new. Did you know that cutting hair for a fresh start for the new year is a tradition? I never did! The illustrations are bright and cheery and for those of you who aren”™t fans of the baby lift the flap books from this author you may want to give the author another chance because her holiday books are really great. 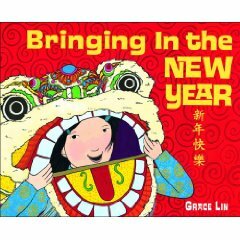 Bringing in the New Year by Grace Lin is a wonderful book to explain Chinese New Year and some of the customs that comes along with it to your preschooler. The illustrations are bright and help explain the festivities and preparations that go into the celebration. The book culminates with a fold out page with a huge dragon bringing in the new year. There is also a great explanation of the holiday for parents at the back of the book. 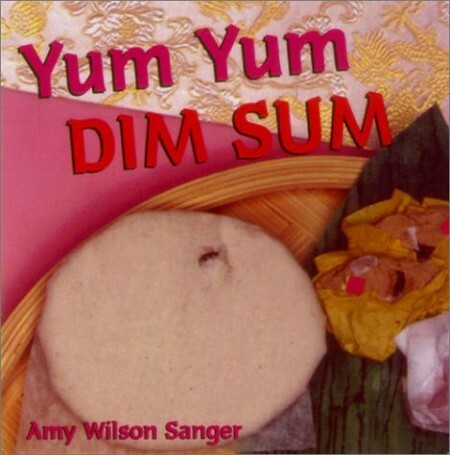 Yum Yum Dim Sum by Amy Wilson Sanger is a book that makes me crave dumplings something fierce but my daughter seems to like the rhymes and pink and red colors throughout. The book explains in a zippy text all about Dim Sum . 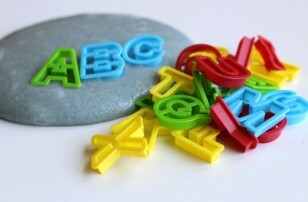 It”™s a board book targeted to babies it”™s really useful to use to teach children about foods they may be unfamiliar with. 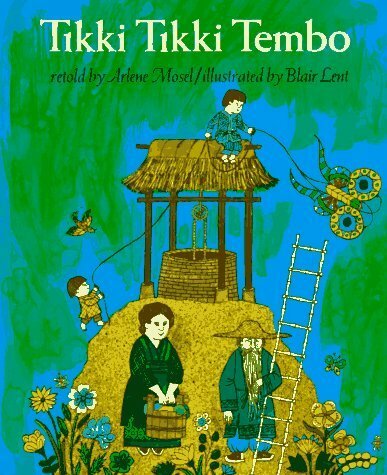 There is even a little appendix with Chinese words for all the items mentioned in the book like tea, rice and tarts. 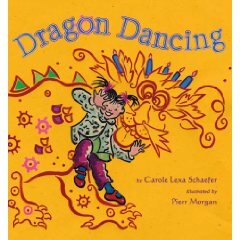 Dragon Dancing by Carole Lexa Schaefer is a story with a great imagination. 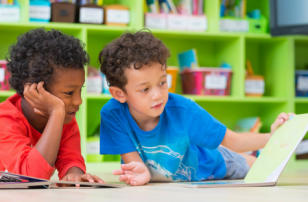 A preschool teacher is reading her class a story about a dragon and when the class goes to art they create a birthday dragon and let their imaginations soar! The illustrations gradually change from the children parading as a dragon to a dragon in the wilderness of China, and back again when the teacher calls them in from the playground. My son loved it but was quite concerned that the dragon ate the children, once I reassured him that the were imagining we were set! 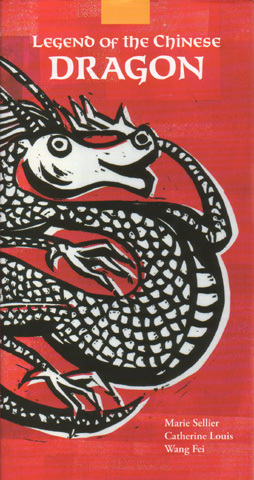 Legend of the Chinese Dragon (English and Mandarin Chinese Edition) by Marie Sellier , Catherine Louis and Wang Fei is a great book about the legend of how the children of China wanted to put an end to tribal fighting and created a dragon from all the tribes different animals. 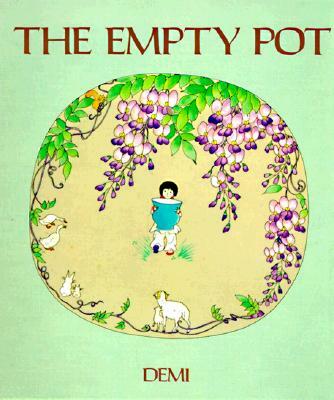 I like this book , I like how the text in English and Chinese characters , the traditional calligraphy and beautiful illustrations. My son loved the illustrations and the story kept his attention as well. 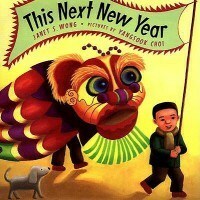 This Next New Year by Janet Wong is a great new to me book about Chinese New Year. I read it with my kids after dinner and they booth really enjoyed it. My daughter liked the illustrations and the text itself was short enough to keep my 2 year old interested too. What this book did a great job of doing was explaining a few of the differences between Chinese New Year and New Year of January 1st and lots of the traditions . My son related well to the main character, a little boy about his age, and had a ton of questions after the book that the author actually addressed in a authors note at the end. 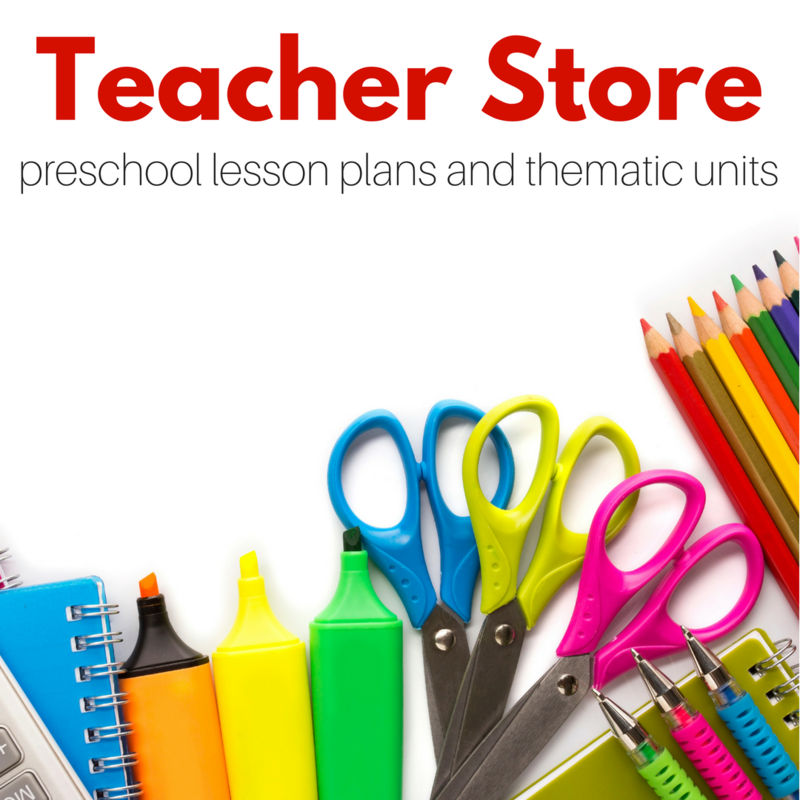 Great book for PreK and up. What a great list Allison! 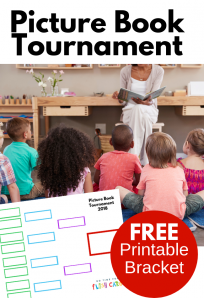 I can’t wait to check some of these out with my kids. To this I would also add 2 books my kids love including: The Seven Chinese Sisters by Grace Lin, and Sam and the Lucky Money by Karen Chinn. Happy reading! Thanks for the new suggestions Carol!